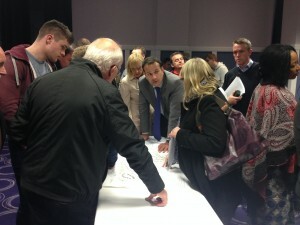 Dublin West TD and Minister for Health Leo Varadkar held a public meeting at the Crowne Plaza in Tyrrelstown to discuss a proposed housing development in Hollystown. There was a good turnout and plenty of discussion on the proposals. There are still a couple of days left to lodge opinions on the project with Fingal Coumnty Council, with the deadline closing on 9th October.